Uttarakhand: Existing, under construction and proposed Hydropower Projects: How do they add to the state’s disaster potential? As Uttarakhand faced unprecedented flood disaster and as the issue of contribution of hydropower projects in this disaster was debated, questions for which there have been no clear answers were, how many hydropower projects are there in various river basins of Uttarakhand? How many of them are operating hydropower projects, how many are under construction and how many more are planned? How many projects are large (over 25 MW installed capacity), small (1-25 MW) and mini-micro (less than 1 MW installed capacity) in various basins at various stages? This document tries to give a picture of the status of various hydropower projects in various sub basins in Uttarakhand, giving a break up of projects at various stages. River Basins in Uttarakhand Entire Uttarakhand is part of the larger Ganga basin. 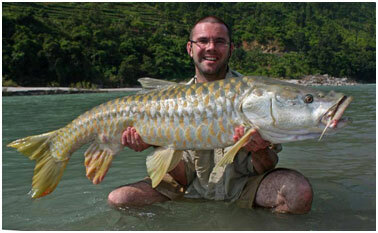 The Ganga River is a trans-boundary river, shared between India and Bangladesh. The 2,525 kms long river rises in the western Himalayas in the Indian state of Uttarakhand, and flows south and east through the Gangetic Plain of North India into Bangladesh, where it empties into the Bay of Bengal. The Ganga begins at the confluence of the Bhagirathi and Alaknanda rivers and forms what we have called Ganga sub basin till it exits Uttarakhand. Besides Bhagirathi, Alaknanda and Ganga sub basin, other river basins of Uttarakhand include: Yamuna, Ramganga (Western Ramganga is taken as Ramganga basin in this document, eastern Ramganga is considered part of Sharda basin) and Sharda. 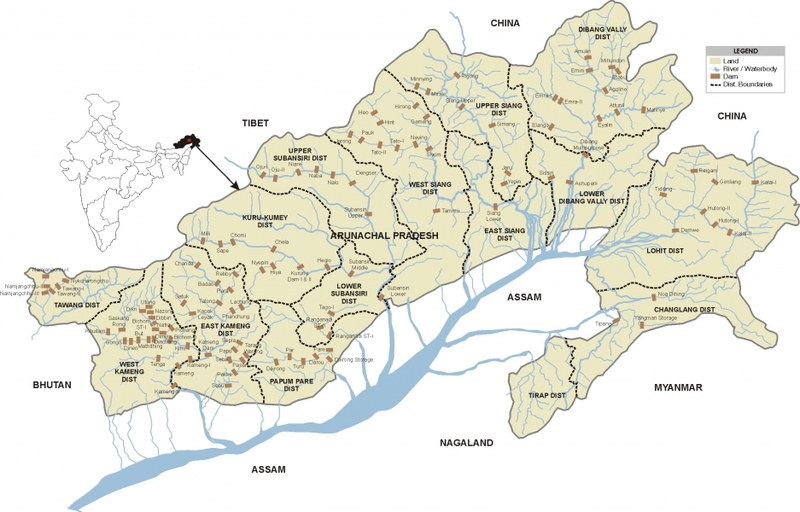 Sharda sub basin includes eastern Ramganga, Goriganga, Dhauliganga, Kaliganga and part of Mahakali basin. Existing hydropower projects in Uttarakhand In the table below we have given the sub basin-wise list of existing hydropower projects in Uttarakhand along with their capacities. The list has been prepared based on various sources including Central Electricity Authority, Uttarakhand Jal Vidhyut Nigam (UJVNL), Uttarakhand Renewable Energy Development Authority (UREDA) and Report of Inter Ministerial Group on Ganga basin. Note: (P) in the bracket suggests the project is in private sector, throughout this document. The eastern Ramganga river, which is part of Sharda basin, is included in Sharda basin. Where-ever Ramganga river is mentioned in this document, it refers to Western Ramganga, which is a tributary of Ganga. In the next table we have given available list of existing mini and micro hydropower projects in Uttarakhand, based on UREDA information. From http://ahec.org.in/, capacity of some of the projects is as per the UJVNL website. The capacity comes to 3.815 MW for the 41 projects for which capacity is available. Based on above two tables, in the following table we have provided an overview of operating hydropower projects and their capacity, with basin wise and size wise break up. Uttarakhand has total of 86 existing hydropower projects, with total installed capacity of close to 3600 MW. At least eleven of these projects are in private sector with total capacity of over 503 MW. An additional about 1800 MW capacity is in central sector. It means that majority of the power generation capacity in the state is not owned by the state and there is no guarantee how much of that power would be available to the state. Here we should note that as per the Union Ministry of New and Renewable Energy sources, in Uttarakhand, by March 2013, 98 small hydro schemes has been installed with total capacity of 170.82 MW. If we add the small and mini-micro projects in above table, we have 83 operating schemes with installed capacity of 172.315 MW. This mis-match is not possible to resolve since MNRE does not provide full list of operating SHPs in Uttarakhand. Under Construction Hydropower projects in Uttarakhand In the table below we have given available list of under construction hydropower projects in Uttarakhand. Actual list of under construction projects is likely to be larger than this, since clear and upto-date information is not available on official website. Please note that this does not include the list of mini and micro hydropower projects that are under construction. Even in case of small hydro projects (1-25 MW capacity), the list is not complete. According to this list, 25 projects with 2376.3 MW capacity are under construction in Uttarakhand. 6 of them are large hydropower projects and rest 19 are small hydro projects. Of the 6 large hydropower projects, three are in private sector and three are in central sector, none in state sector. Note: Projects like Loharinag Pala, Pala Maneri, Bhairoghati and other projects along Bhagirathi upstream of Uttarkashi along the Eco Sensitive zone have been dropped from this list. Rest of the list is from the IMG report or from UJVNL website. P in the bracket indicates the project is in the private sector. ADB in the bracket indicates that the project is funded by the Asian Development Bank. Proposed hydropower projects in Uttarakhand In following tables we have provided available list of proposed hydropower projects in the Alaknanda, Bhagirathi, Yamuna, Sharda and Ramganga basins in Uttarakhand. The list is likely to be longer than the list in these tables since full and upto-date information is not available. Also there are different agencies involved in proposing, sanctioning and executing these projects and there is no single agency which can provide comprehensive picture of what is happening in the basin. However, even this available list is frightening. Chamoli Alaknanda EC & FC ok CEA concrnce? 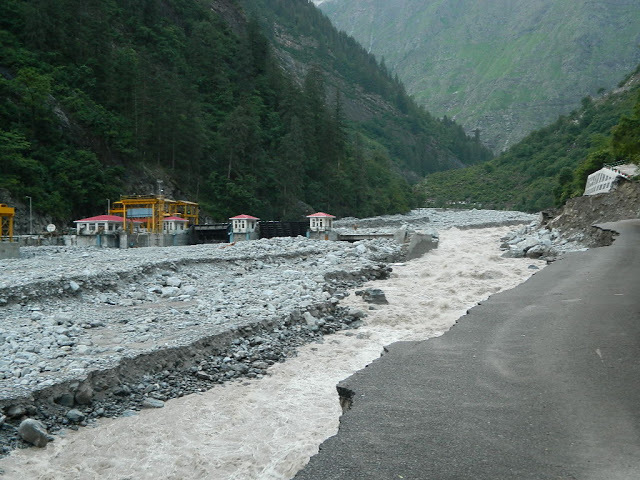 Uttarkashi Bhagirathi IMG, on Eco-sensitive zone? Note: EAC: Expert Appraisal Committee of MoEF; FAC: Forest Advisory Committee of MoEF; EC: Environment Clearance: FC: Forest Clearance; TOR: Terms of Reference (of EIA); for Alaknanda, the first 17 projects are listed as given in IMG report and for Bhagirathi first 8 projects are as listed in IMG report. However, many of these projects have been recommended to be dropped by the WII (Wildlife Institute of India) report. Also, IMG and other have said that no further projects should be taken up in Bhagirathi and Alaknanda basins. The projects listed above in the Bhagirathi basin beyond serial number 8 and those in Alaknanda basin beyond 17 would, in any case, not be taken up. In the table below we have provided and overview of proposed hydropower projects in Uttarakhand based on the information from above five tables. Overview of hydropower projects in Uttarakhand In the table below we have put together the number and capacities of existing, under construction and proposed hydropower projects in various basins of Uttarakhand. Uttarakhand government has plans to have total of 337 hydropower projects with total capacity of 27191.89 MW. Largest number (124) of such projects are in Alaknanda basin, the largest capacity is proposed to be in Sharda basin at 12450.905 MW. In the table below we have given basin wise figures of total large, small and mini-micro hydropower proejcts (including existing, under construction and proposed) projects in Uttarakhand. According to Union Ministry of New and Renewable energy, total potential of small hydro in Uttarakhand is 1707.87 MW from 448 small hydro projects. If we take that into account the figures in the following tabes would change (go up) accordingly. In the table below we have given basin wise figures of existing, under construction and proposed hydropower projects of all sizes in Uttarakhand. How do the hydropower projects increase the scale of disaster? 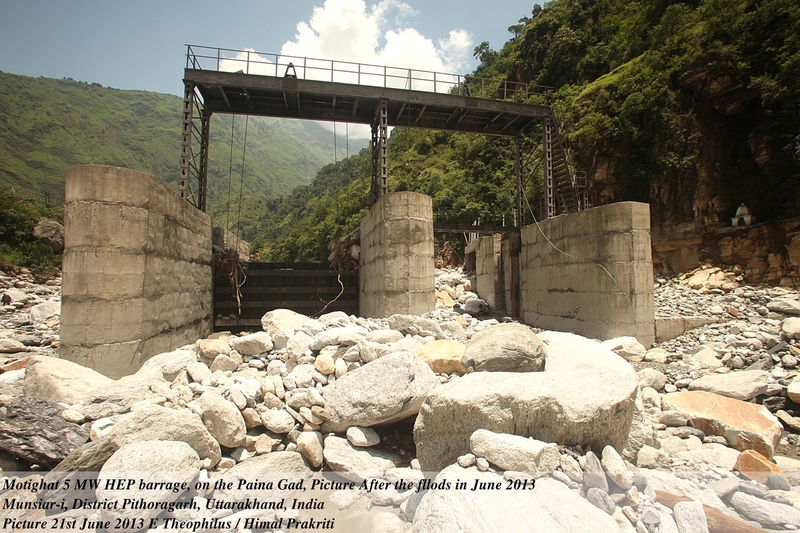 Þ Almost all hydropower projects of Uttarakhand involve deforestation. Deforestation directly increases the potential of erosion, landslides and floods since water now just runs off to the rivers. Moreover the compensatory afforestation and catchment area treatment, even when done, usually involves planting of commercially important variety of trees like pine and teak and not broad leaf tress like oaks which not only adds humus in the soil, but also allows rich under growth. Pine does not allow this to happen. This change in character of forests is something Gandhiji’s disciple Mira Behen has been warning since independence, but there is little impact of this on the forest department. Þ In fact largest proportion of deforestation in Uttarakhand has happened basically for hydropower projects. Þ All run of the river projects involve building of a dam, diversion structure, desilting mechanism, tunnels which could have length of 5 to 30 km and width sufficient to carry three trains side by side, as also roads, townships, mining, among other components. All of these components increase the disaster potential of the area in one or the other way. Cumulative impacts of all the components of any one project and all projects together in a given basin is likely to be larger than the addition of the impacts of individual projects in many cases. Þ Massive blasting of massive proportions is involved in construction of all these components, which adds to landslide risks. In fact Uttarakhand’s Disaster Mitigation and Management Centre in their report of Oct 2012 after the Okhimath disaster of Sept 2012 recommended that no blasting should be allowed for any development activity anywhere in Uttarakhand, but Uttarakhand government did nothing about this recommendation. 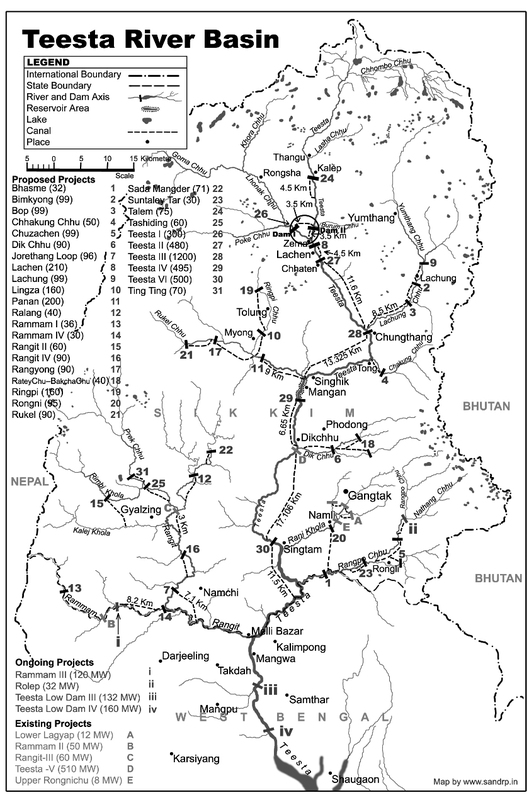 Þ The massive tunneling by itself weakens the young and fragile Himalayan mountains, increasing the disaster potential. Þ Each of the hydropower project generates immense amount of muck in tunneling, blasting and other activities. 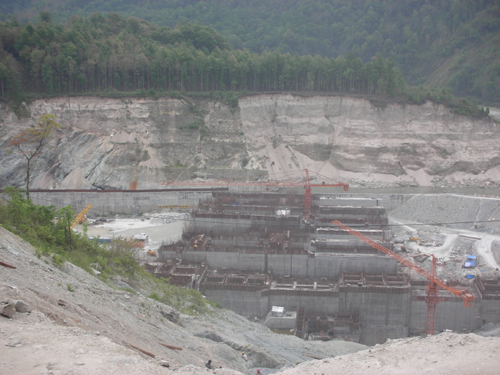 A large hydropower project could typically generate millions of cubic meters of muck. The large projects are supposed to have muck disposal plan, with land acquired for muck disposal, transportation of muck to the designated sites above the High Flood levels, creation of safety walls and stabilization process. But all this involves costs. The project developers and their contractors find it easier to dump this muck straight into the nearby rivers. In the current floods, this illegally dumped muck created massive disaster in downstream areas in case of 330 MW Srinagar HEP, the 76 MW Phata Byung HEP and the 99 MW Singoli Bhatwari HEP. When the flooded rivers carry this muck, boulders and other debris, has much greater erosion capacity and also leaves behind massive heaps of this muck in the flooded area. In Srinagar town about 100 houses are buried in 10-30 feet depth of muck. Such debris laden rivers also create massive landslides along the banks. Þ Wrong operation of hydropower projects can also create greater disasters in the downstream areas. 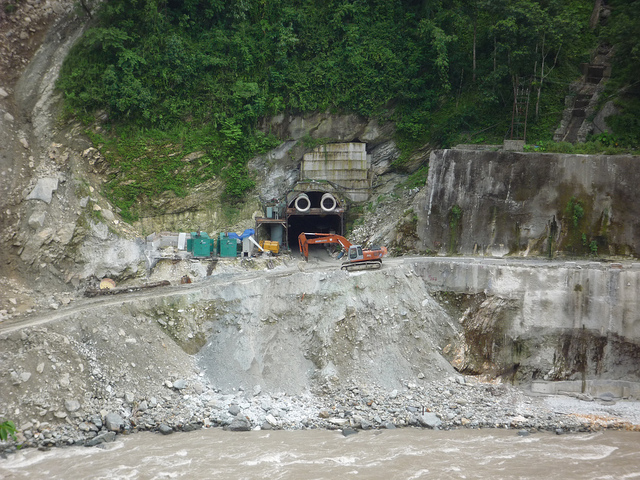 For example the operators of 400 MW Vishnuprayag HEP on Alaknanda river did not open the gates when the river was flooded on June 16-17, possibly to maximize power generation. However, this lead to accumulation of massive quantities of boulders (for photos of dam filled with such boulders see: http://matuganga.blogspot.in/) behind the dam, so much so that that there was no space for water to flow. The river then bypassed the dam and started flowing by the side of the dam, creating a new path for its flow. This created a sudden flashflood in the downstream area, creating a new disaster there. 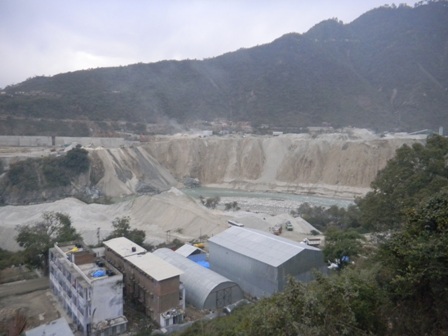 Þ The incomplete, broken and ill designed protection wall of the Maneri Bhali projects in Uttarkashi lead to erosion and landslides in the downstream areas. 400 MW Vishnuprayag HEP of JP Associates has suffered serious, but as yet unassessed damage(http://www.indianexpress.com/news/jaiprakash-power-tanks-15–as-plant-shuts-down-in-uttarakhand/1133083/). As per MATU PR (http://matuganga.blogspot.in/), the project has also been cause of damage in Lambagad village, which was also flahsed on front page of TOI on June 25, 2013, though without mentioning the project. The blog also provides the before and after pictures of the upstream and downstream of the project. In addition, a large number of projects had to stop generation temporarily due to high silt content, including Maneri Bhali I and II, Tanakpur, Dhauli Ganga, Kali Ganga I, some of the Yamuna basin projects among others. Most of these projects are out of the environmental governance. Projects below 25 MW do not require EIA, Social Impact Assessment, public consultation, environmental clearance, environmental management plan or monitoring. This is clearly wrong as all projects have environmental impacts, and they are particularly serious in Himalayan region with multiple vulnerabilities. We have for years demanding that all projects above 1 MW should need environment clearance, EIA and so on. Even for projects above 25 MW we do not have any credible environmental or social impact assessment. Former Environment Minister Jairam Ramesh is on record having accepted that most EIAs are dishonest cut and paste jobs. We do not have any credible process in place to ensure that EIAs are proper and those that are not are rejected and consultants are black listed. Jairam Ramesh did put in place a process of registration of EIA consultants under the Quality Council of India, but that is completely non transparent, unaccountable and ineffective process. It is amazing that reputed NGOs like the Centre for Science and Environment are on board of this process, but they have completely failed to achieve any change and have chosen to remain quiet. The Environment clearances of the River Valley Projects (which includes hydro projects and dams) is considered by the Expert Appraisal Committee on River Valley Projects appointed by Union Ministry of Environment and Forests. However, the ministry chooses members of the EAC such that they rarely object to any project. As per SANDRP analysis in six years ending in Dec 2012, the EAC had not said NO to any project for environment clearance. Its appraisal of projects, EIAs, public consultation process and its own minutes were found to be inconsistent, unscientific and loaded in favour of the project developers. Our environment compliance system is non-existing. The projects are supposed to implement the environment management plan pari passu with the project work, they are supposed to follow the conditions of environment clearance, follow the environmental norms, but who is there to ensure this actually happens? The Union Ministry of Environment and Forests which is supposed to ensure this compliance has no capacity the officials tell us. The officials do not have time to even check if six monthly compliance reports are being submitted or make any surprise visits. However they do not even seem to have will, since we have seen no change in this situation for decades. Nor do they seem to have willingness, since even when NGOs present photographic and video and other evidence of violations they refuse to take action. One way to achieve compliance is to have a project monitoring committee for each project where over 50% of the members are from local communities and other independent persons and such committees ok must be required each stage for the project to go ahead. We have been suggesting this for long, but the MoEF has shown no willingness to follow this. More pertinently, none of the assessment reports look at the impact on the disaster potential of the area. Each of these projects have significant impact on the disaster potential of the area, particularly in the context of a vulnerable state like Uttarakhand. This should be a must for all such projects. Similarly the projects must also be assessed in the context of climate change, again in vulnerable area like the Himalayas. How the project will impact the local climate, how it will have impact on adoption capacity of the local communities and also how the project itself will be impacted in changing climate. This again we have been writing to the MoEF numerous times, but without any success so far. Most significantly, the only impact assessments that we have is for specific projects of over 25 MW capacity. However, we have no credible cumulative impact assessment for any of the river basins of Uttarakhand, which also takes into account carrying capacity of the river basins and all the interventions that are happening in the basins. As our critique of so called cumulative impact assessment of Bhagirathi-Alaknanda basins done by AHEC of IIT Roorkee shows (see: http://www.sandrp.in/hydropower/Pathetic_Cumulative_Impact_Assessment_of_Ganga_Hydro_projects.pdf), it was not much of a cumulative impact assessment. WII (Wildlife Institute of India, Dehradun) report was somewhat better within the mandate given to it (assessment of hydro projects on aquatic and terrestrial biodiversity), but the most important recommendation of the WII report that at least 24 projects should be dropped has not been accepted by the MoEF, so what is the use of the cumulative impact assessment in such a situation? Unless we address all of the above issues in a credible way, there is little wisdom in going ahead with more hydropower projects in Uttarakhand. They will invite greater disasters. Uttarakhand has many other options for development. Firstly people of Uttarakhand should get first right over all the power that is getting generated within Uttarakhand. Secondly, this is not a plea for no projects, but to address the crucial issues without addressing which we are in no situation to even know the impacts or address the issues. Thirdly, Uttarakhand needs to take up power generation options that do not accentuate the disaster potential of the area. Such options include micro hydro, hydro kinetics, and solar and biomass based power in addition to better utilization of existing infrastructure. Going ahead with more hydropower projects in current situation would be invitation to greater disasters. In fact, the Uttarakhand government should not allow even the damaged and under construction hydropower projects until al the conditions mentioned above are satisfied. Some of the hydropower projects that have surely seem to have added to the disaster proportions of current Uttarakhand flood disaster include the 400 MW Vishnuprayag HEP, the 280 MW Dhauliganga HEP, the 330 MW Shrinagar HEP, the 304 and 90 MW Maneribhali II and I HEPs, the 99 MW Singoli Bhatwari HEP and the 76 MW Phata Byung HEP, the last two on Mandakini river. In response to my question on a programme on Headlinestoday channel anchored by Rahul Kanwal on July 8, 2013 (in presence of panel that also included Dr Vandana Shiva and Vimlendu Jha), the Uttarakhand Chief Minister Shri Vijay Bahuguna agreed that he will institute an enquiry into the damage due to these hydropower projects and hold them accountable for such damage. Let us see how soon and how independent and credible enquiry he institutes. 2. http://www.uttarakhandjalvidyut.com/eoi/list_of_projects_self.pdf and many other UJVNL documents. 5. http://ureda.uk.gov.in/pages/show/130-micro-hydro-programme and other sites of UREDA. The callous performance of CWC does not end there. During June 2-7 this year, CWC flood forecasting site as also the flood forecasting site of NDMA which also depends on CWC, stopped functioning. After numerous emails and phone calls from SANDRP, the website started functioning on June 7, 2013 and Shri V D Roy, Director (Flood Forecasting Management) of CWC wrote to us, “Due to technical reasons, the CWC FF site was not working since 2nd June. With consistent effort, the website was made functional w e f 7th June”. Pointing out a major blunder of CWC, we had written to CWC on June 12, 2013, “CWC forecast site reported that water level of Brahmaputra river at Neamatighat site in Jorhat district in Assam had reached 94.21 m at 0900 hrs (on June 11, 2013), which was 6.84 m above the highest flood level of the site at 87.37 m. The FF site also forecast that the level will be 94.15 m at 0900 am on June 12, 2013, that is today. Both the recording and forecast were clearly wrong, rather way off the mark. The site or the area in question or upstream and down stream levels do not match with what the CWC site said y’day.” Needless to add there was no floods in Brahmaputra in spite of such forecast by India’s highest technical body! CWC is yet to respond to our emails on this issue. CWC needs to seriously consider including key sites of Uttarakhand into its flood forecasting sites, even if the the duration available for such forecasting is smaller. In times of crisis even a few hours notice can save many lives and also help save other losses. We cannot ignore the climate crisis anymore! The India Climate Justice collective notes with deep anguish the devastating loss of life, livelihoods, and homes in Uttarakhand and beyond. The death toll is likely in the thousands, way beyond current official figures. We extend our deep condolences to the families and friends of those killed, and our support to those still fighting for survival, and to local populations whose livelihoods will take years to rebuild. This tragedy was triggered by extreme unseasonal rains in North India, 2-3 weeks in advance of what is normal for this region. The Director of the Indian Meteorological Department (IMD), Dehradun, said that 340 mm fell in a single day at Doon, a record not seen for five decades. Such extreme and unseasonal rainfall seems to us to indicate a global warming induced climate change phenomenon. Warmer air due to global warming has the capacity to hold more moisture, leading to more intense bursts of rainfall in a particular region. The natural monsoon cycle in India has already been badly disrupted, and a new cycle of extreme rainfall events and prolonged droughts have been reported from all over the country in the recent past. Thus, contrary to statements by senior politicians, the Uttarakhand disaster is not natural: it is no less man-made than the other contributors to the tragedy. And if it is indeed induced by global warming, similar catastrophes could recur with increasing frequency and intensity anywhere in the country in the coming years. In Uttarakhand, a chaotic process of ‘development’ that goes back many years exacerbated the effects of this extreme rain. Extensive deforestation of mountain tracts, by the state and more recently due to ‘development’ projects, led to soil erosion and water run-off, thus destabilizing mountain slopes and contributing to more intense and frequent landslides and floods. Unchecked hill tourism has resulted in the huge growth of vehicular traffic, spread of roads not suitable to this mountainous terrain, and the construction of poorly designed and unregulated hotels and structures, many near rivers. 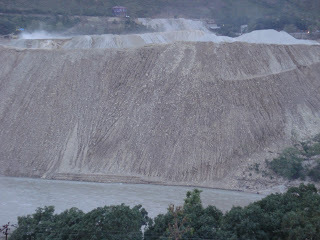 Sand mining along river banks has intensified water flows into rivers. Most of all, the construction and planning of hundreds of small, medium and large dams across the Himalayan states from Himachal Pradesh and Uttarakhand in the northern Himalayas to Sikkim and Arunachal Pradesh in the east, have destabilized an already fragile ecosystem and threatened biodiversity. 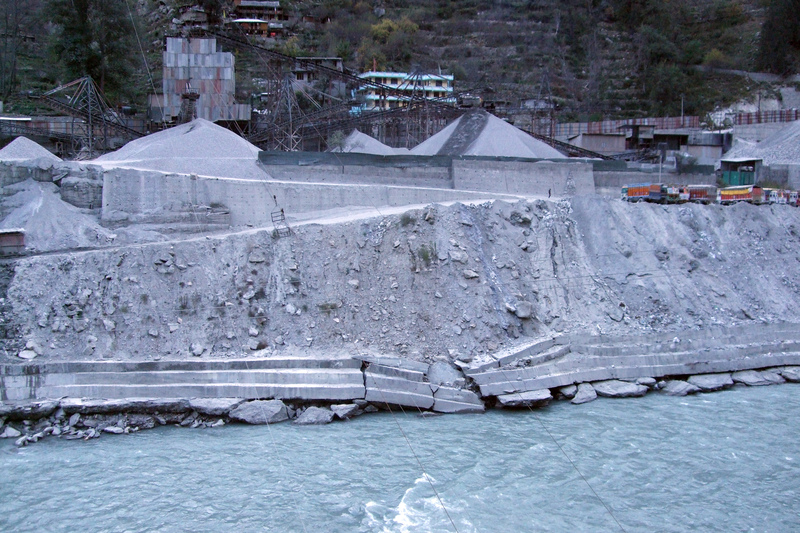 A staggering 680 dams are in various stages of planning, or construction in Uttarakhand alone! These dams have a direct connection with the extent of the damage that can be caused in such flooding events, in that the tunnelling and excavation in the so-called run-of-the-river projects cause huge and unregulated dumping of excavated debris into river basins, leading to increased siltation, and in turn aggravating the flood situation. The electrical power generated by these dams will be consumed by urban elites elsewhere. It is ironic that these dam projects, while adversely impacting people’s access to their river commons, claim to be climate change solutions in the guise of renewable and green energy, and have already made huge profits by fraudulently claiming CDM (clean development mechanism) status. In 2009, the CAG had warned the government of Uttarakhand that the “potential cumulative effect of multiple run-of-the-river projects can turn out to be environmentally damaging”. Like many other warnings by environmentalists and local community groups in the past, this was also ignored. And now we are facing one of the biggest disasters that the country has seen in decades. The central government of India and various state governments, including the govt of Uttarakhand, have prepared action plans for combating climate change. Any such plan ought to include the establishment of a disaster-prediction and warning mechanism. The Uttarakhand government has taken no measures to prepare for this kind of eventuality, though it has paid lip service to climate action plans over the last three years. In the present case, the IMD issued inadequate warning, which was disregarded by the state government. An urgent prior warning could have ensured that pilgrims don’t move forward and retreat to relative safety, that locals reduce their exposure to risk to the extent possible. Thousands of pilgrims from different states, locals, workers in hotels and dharamshalas, and transport animals have been killed. Cars with people inside them were washed away. Those who have survived had to go without food for several days. Thousands are still stranded at different points, or in forests, and we are still counting the dead. There has also been extensive devastation of local lives and the regional economy. Serious devastation has been reported from over 200 villages, so far. 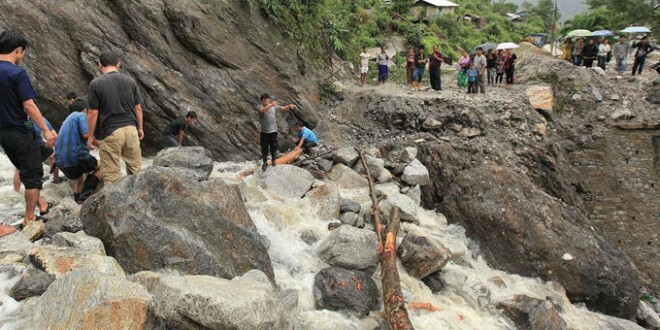 Innumerable locals, including agricultural workers, drowned in the raging waters or were submerged under mud and debris. Houses have collapsed or been washed away. Tourism and the local employment it generates have been hit indefinitely at the peak of the tourist season. Floods, landslides and debris have devastated agriculture along the rivers. Irrespective of whether these extreme rains are due to climate change or not, this is what a climate change world in the Himalayas looks like. This devastation is a glimpse into a climate uncertain future. We see this tragedy as a result of cumulative and widespread injustice and wrongdoing: not only against the Himalayan environment, but also against mountain communities whose survival depends on that environment. This tragedy is also a crime, because our policy makers and administrators are also part of the larger climate injustice at a global scale that threatens, displaces and kills the marginal and the poor everywhere. On another plane, they simply let it happen. We believe that adaptation to disasters does not just mean desperate rescue work during and after the event, but also reducing vulnerability and risk before. Effective adaptation involves a series of measures that need to be adopted on a war footing. The sustainable development of a hill economy, and equity – not profit for a few – should be at its core. · That the governments at the central and state level retreat to a low carbon pathway of development that has equity, decent employment, and sustainability at its core. 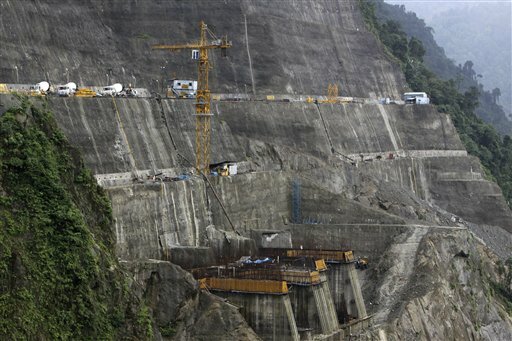 · That the planning and construction of dams in the entire Indian Himalayas be reviewed, and all construction be halted until such a review is carried out. · That the use of explosives in all such infrastructure development works is completely stopped. · That, given the likelihood of extreme rainfall events and other climate extremes in the future, extensive and sub-regional warning systems are put in place urgently across all the Himalayan states, the coastal areas and beyond. · That a proper assessment of the carrying capacity of specific ecosystems is carried out. · That the stretch from Gaumukh to Uttarkashi be declared an eco-sensitive zone without further delay. · That a river regulation zone be enforced such that no permanent structures are allowed to be constructed within 100 metres of any river. · That the residents and their organizations are thoroughly consulted in a democratic plan on climate change, in the revival of the local hill economy, and the generation of decent employment. · That local people are compensated for the loss of life and livelihood, and that urgent plans are put in place for the revival of local livelihoods and agriculture. · That the central government learn from the Uttarakhand catastrophe to put in place prior adaptation measures not just for the mountainous regions but beyond, for coastal and the drought-prone interiors as well. India Climate Justice is a collective comprising social movements, trade unions, other organizations and individuals. It was formed in 2009 to respond to the growing climate crisis, from a perspective of justice and equity. Uttarakhand and Climate Change: How long can we ignore this in the Himalayas? The current disaster in Uttarakhand has exposed our unpreparedness in many spheres: be it disaster management, weather forecasting, early warning system, tourism management or transparent and participatory environmental governance of a fragile region. However, we cannot ignore Climate Change and its associated challenges when dealing with these issues. Himalayas are experiencing Climate Change at an unprecedented rate, this is increasing the incidents of flash floods, GLOFs, landslides and related disasters. India has a huge National Action Plan for Climate Change in place since 2009, under it is a special National Mission for ‘Sustaining Himalayan Ecology’, National Mission on Water, among six others. But what has happened down these years? Are we even considering climate change and its impacts while clearing hundreds of projects on hydel power, river bed mining , urban development, roads and related infrastructure in this region? We are not even assessing the impact of such projects on disaster potential in already vulnerable areas. 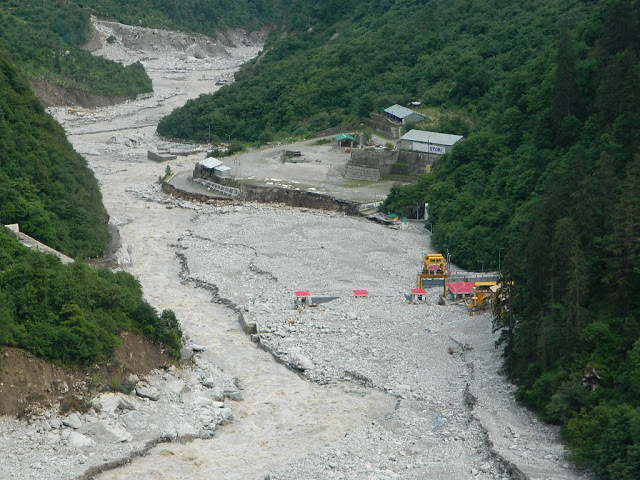 In our earlier blog, we have said that there are a number of reasons behind the sudden deluge in Kedarnath and surrounding areas including Glacial Lake Outburst Flood (GLOF) (https://sandrp.wordpress.com/2013/06/21/uttarakhand-deluge-how-human-actions-and-neglect-converted-a-natural-phenomenon-into-a-massive-disaster/). In the absence of precise weather monitoring or documentation, detailed analysis on this difficult. 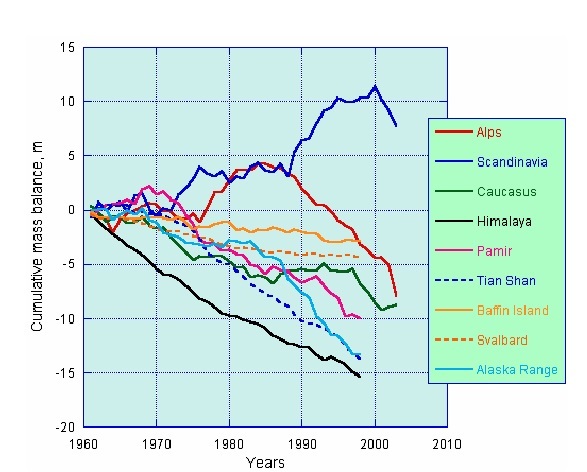 However, it is an undisputed fact that climate change is impacting the Himalayas at much faster pace than what the global averages tells us. We take a look at our responses to adapt to and mitigate CC Challenges. Warming in Himalayas is happening at an unprecedented rate, higher than the global average of 0.74 ˚C over the last 100 years (IPCC, 2007a; Du et al., 2004), at least 2-3 times higher than global averages. Progressively higher warming with higher altitude is a phenomenon prevalent over the whole greater Himalayan region (New et al., 2002). 1.1 Impact on Precipitation: In many areas, a greater proportion of total precipitation appears to be falling as rain than before. As a result, snowmelt begins earlier and winter is shorter; this affects river regimes, natural hazards, water supplies, and people’s livelihoods and infrastructure. The extent and health of high altitude wetlands, green water flows from terrestrial ecosystems, reservoirs, and water flow and sediment transport along rivers and in lakes are also affected. 1.2 Retreating glaciers: As compared to global averages, Himalyan glaciers are receding at a rapid rate. Retreat in glaciers can destabilize surrounding slopes and may give rise to catastrophic landslides (Ballantyne and Benn, 1994; Dadson and Church, 2005), which can dam streams and sometimes lead to outbreak floods. Excessive melt waters, often in combination with liquid precipitation, may trigger flash floods or debris flows. Available studies suggest changes in climatic patterns and an increase in extreme events. An increase in the frequency of high intensity rainfall often leading to flash floods and land slides has been reported (Chalise and Khanal, 2001; ICIMOD, 2007a). 1.3 Higher frequency of flash floods and GLOF events: In the eastern and central Himalayas, glacial melt associated with climate change, has led to the formation of glacial lakes behind terminal moraines. Many of these high-altitude lakes are potentially dangerous. The moraine dams are comparatively weak and can breach suddenly, leading to the discharge of huge volumes of water and debris. 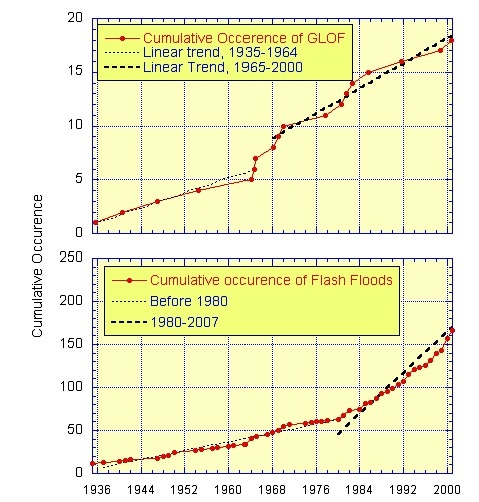 The resulting glacial lake outburst floods (GLOFs) can cause catastrophic flooding downstream. The ambitious National Action Plan for Climate Change has a separate National Mission for Sustaining the Himalayan Eco System (NMSHE) under the Ministry of Science of Technology, Government of India. • Enhancing monitoring of Himalayan ecosystem with a focus on recession of Himalayan glaciers and its impact on river system and other downstream socio-ecological processes. • Establishing observational and monitoring network to assess ecosystem health including freshwater systems. Given the ecological fragility of mountainous areas, it was agreed that rather than permit the unplanned growth of new settlements, there should be consolidation of existing urban settlements, which are governed through land-use planning incorporated in a municipal master plan. (a) Municipal bye-laws will be amended, wherever required, to prohibit construction activity in areas falling in hazard zones or across alignments of natural springs, water sources and watersheds near urban settlements. There will be strict enforcement of these bye-laws, including through imposition of heavy penalties and compulsory demolition of illegal structures. (e) Construction activity will be prohibited in source-catchment areas of cities, including along mountain lakes and other water bodies. Their feeder channels will also be kept free of building activity. In order to enable these decisions to be implemented urgently, it is necessary to draw up, as soon as possible, a comprehensive State-wide inventory of such water resources and their channels, which could then be declared fully protected zones. (a) A comprehensive inventory of key pilgrimage sites in each State would be drawn up, which would include analyses of the ecological capacity of each site, based on its location and fragility. (b) In advance of the results of the above exercise, develop a plan to harmonise the inflow of pilgrims with the capacity of the local environment to cater to the needs of pilgrims. These include the source of several Himalayan rivers, sacred lakes and forest groves. (c) The construction of roads should be prohibited beyond at least10 kilometres from protected pilgrim sites, thereby creating a much-needed ecological and spiritual buffer zone around these sites. These areas, like national parks and sanctuaries, will be maintained as special areas, where there would be minimal human interference, respecting the pristine nature of thesesites. (d) Each designated pilgrimage site should have a declared buffer zone where development activity will be carefully regulated. “Green Road Construction”The construction of roads must fully take into account the environmental fragility of the region. To this end, the concerned State Governments will consider promulgating, as soon as possible, the following guidelines for road construction in hill areas. (a) Environmental Impact Assessment to be made mandatory for the construction of all state & national roads and expressways of more than 5 km length, including in the extension and widening of existing roads. This will not apply to inter-village roads. (b) Road construction will provide for the treatment of hill slope instabilities resulting from road-cutting, cross drainage works and culverts, using bio-engineering and other appropriate technologies. Cost estimates for road construction in these areas will henceforth include estimates on this account. (c) Plans for road construction must provide for disposal of debris from construction sites at suitable and identified locations, so as to avoid ecological damage and scarring of the landscape. Proposals for road construction must henceforth include cost estimates in this regard. (e) All hill roads must provide adequate roadside drains and, wherever possible, be connected to the natural drainage system of the area. (f) Alignment of proposed roads should avoid fault zones and historically landslide prone zones.Where this may not be possible, adequate measures will be taken to minimize associated risks, in consultation with experts. The Himalayan eco system is vulnerable and susceptible to the impacts and consequences of a) changes on account of natural causes, b) climate change resulting from anthropogenic emissions and c) developmental paradigms of the modern society. Unfortunately, we saw that NONE of the above is currently happening in the Uttarkhand Himalayas, or for that matter any of the Himalayan States. There are no clear action plans, timelines and budget breakups of this program available and at best, this seems like a vague wish list, rather than an urgent program. “Extreme precipitation events have geomorphological significance in the Himalayas where they may cause widespread landslides. Increase in rainfall is likely to causes fresh floods land slides and damages to the landmass. Winter precipitation has become extremely erratic and unpredictable. Increase in the flooding varying between 10 to over 30 percent of the existing magnitudes is expected in all the regions. This has a very severe implication for the existing infrastructure such as dams, bridges, roads, etc., for the areas and shall require appropriate adaptation measures to be taken up. “The UAPCC recognises that scientific knowledge and evidence base on impacts of climate change to the water sector is limited. As such, a comprehensive water data base in public domain and assessment of the impact of climate change on water resource through the various agencies responsible for different aspects of water resources management in the State will be developed, and updated and analysed on an on-going basis. Collection of necessary additional hydro-meteorological and hydrological data for proper assessment of impact of climate change in Himalayan region including other improvements required in hydrometric networks to appropriately address the issues related to the climate change. · Surface and ground water quality data collection, etc. Other initiatives will include adoption/development of modern technology for measurement of flow in hilly areas, development of water resources information system, and reassessment of basin wise water situation, apart from projection of water resources availability as a result of impact of climate change which would inter-alia include the likely changes in the characteristics of water availability in time and space. Unfortunately, here too we did not find evidence that ANY of the strategies were put in practice. As we have said earlier, we still do not have a picture of how much rainfall occurred where and when. Rudraprayag district seems to have a single raingauge station, and high density tourist spots like Kedarnath, which are already vulnerable do not even have a raingauge. There exists no early warning system and as clarified by CAG report on Disaster Management, 2013, the State Disaster Management Authority has not met even once since its constituion in 2007. Despite the burgeoning literature, debates around the world, several submissions from civil society including SANDRP, there is not even as assessment of the impacts of hydel projects on climate change, leave alone mitigation measures. The Expert Appraisal Committee on River valley and Hydropower Projects constituted by the MoEF which recommends Terms and Reference and further Environmental Clearances to these projects has not included the impacts of climate change or the mitigation measures against impacts while recommending TORs or granting Environmental Clearances. It also does not include assessment of impact of the projects on disaster potential of the region or adaptation capacity of the people. The EAC in fact has zero rejection rate even when we know we do not have credible EIA, SIA or CIA for any projects or basins. 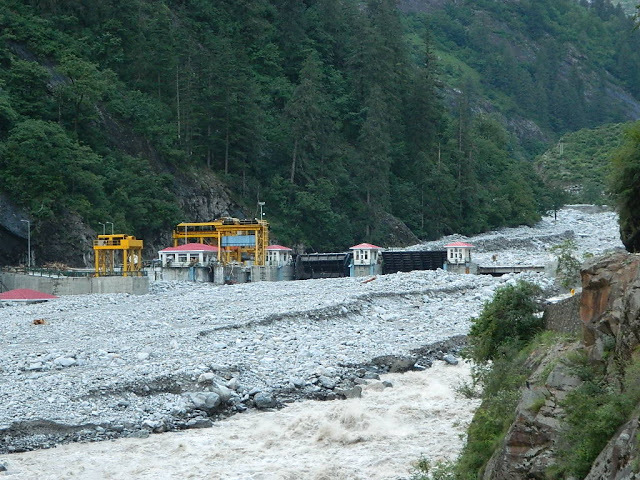 Many of the Hydropower projects in the Himalayas, including Uttarakhand have applied for carbon credits under the UNFCCC’s Clean Development Mechanism. Under this, clean energy projects in developing countries get millions of rupees as incentives from developed world, which in turn get carbon offset credits, which are a license to pollute further. The entire system, put in place after the Kyoto Protocol is inherently flawed due to absence of due attention impact of projects on adaptation of local people, to local voices and due to market based approach. Many destructive hydropower projects in Uttarakhand are being certified as clean projects, making a mockery of climate change adaptation and sustainable development. Notable among-st these include the 99 MW Singoli Bhatwari HEP , 76 MW Phata Byung HEP, both on Mandakini river (epicenter of current disaster), 300 MW Alaknanda (GMR) hydropower project, 330 MW Alaknanda Srinagar Hydropower project, 414 MW Rampur project in Himachal Pradesh, where the World Bank played an active role in getting it registered for Carbon credits. Carbon credits to large hydropower projects in fact accelerate climate change and its impact on ecosystems and communities and is unacceptable. World Bank is being reported to have come up with a report which says that “An extremely wet monsoon that at present has a chance of occurring only once in 100 years is projected to occur every 10 years by the end of this century,” It also projected a rise in severe floods within the next 25 years. The same organisation is pushing some of the biggest and most destructive hydropower projects in the Himalayan region like the 775 MW Luhri HEP, in addition to 2 large Hydel projects upstream on Luhri in the Sutlej Basin in Himachal Pradesh. 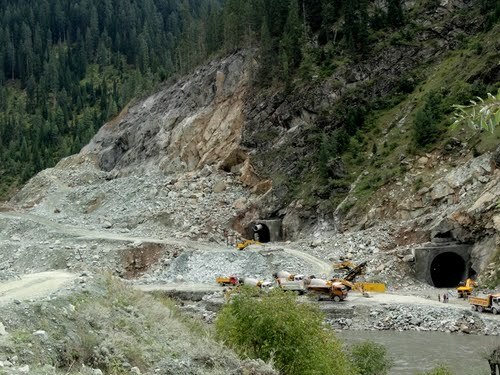 Luhri HEP will have one of the longest tunnels in Asia and there is no impacts assessment of the impact of this blasting and tunnelling on the villages above, or geological stability. World Bank is also pushing and financing the 440 MW Vishnugad Pipalkoti Hydropower in Uttarakhand. Incidentally, Pipalkoti region experienced some severe impacts of the current deluge and also suffered damages as per MATU report. The World Bank is supporting these projects even when there are no credible project specific ESIA or cumulative impact assessment studies or carrying capacity studies or studies on the impacts of these cascade projects on disaster risks or climate change. Asian Development Bank is also supporting a number of hydropower projects n Uttarakhand (they are reported to have suffered damages) and in Himachal Pradesh on similar lines. Cascade projects along the rivers, with no distance between two projects effectively means that the entire landscape surrounding the rivers is blasted, submerged and tunneled. There is a huge gap between what World Bank’s says and what it does as far as hydropower and climate change is concerned. Current Uttarakhand disaster has seen government officials to the World Bank suggesting that impacts of climate change are severe, but ironically, when asked specifically if they would link current disaster with climate change, they say that cannot be established and hide behind ‘scientific uncertainity’. As has been seen world over, the poor and most vulnerable sections of the society and the ecology are worst impacted by climate change. It is high time that we adopt no regret strategies to cope with impacts of climate change, through mitigation and adaptation. National Action Plan of Climate Change needs to be audited for its efficacy and work from organisations like CAG. MoEF urgently needs to include impacts of climate change while it is busy sanctioning all the projects that come to it. Organizations like World Bank need to walk their talk on climate change and stop financing destructive hydro projects in this fragile region, in absence of any studies on their impact on Climate Change and lives and livelihoods of millions dependent on natural systems. Climate change is knocking at some of our doors, while it has already arrived through other doors. We can choose to close our eyes and ears and say “this is normal and expected in this region”. But if we do not respond to challenges posed by Climate Change urgently, it wont be just politely knocking, but causing extreme damage, as it is being witnessed.